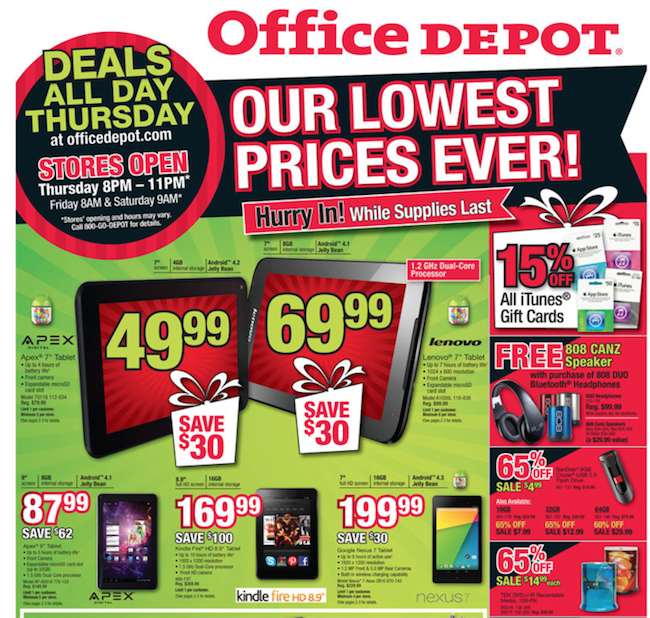 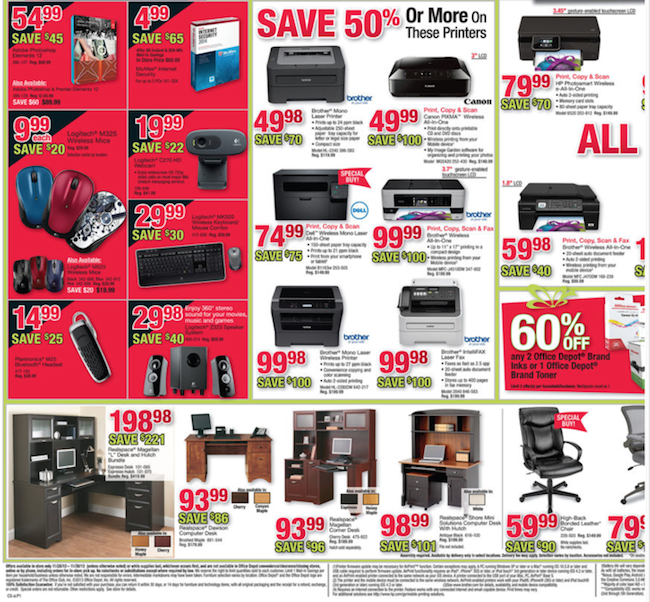 Here is the 2013 Office Depot Black Friday ad and deals! 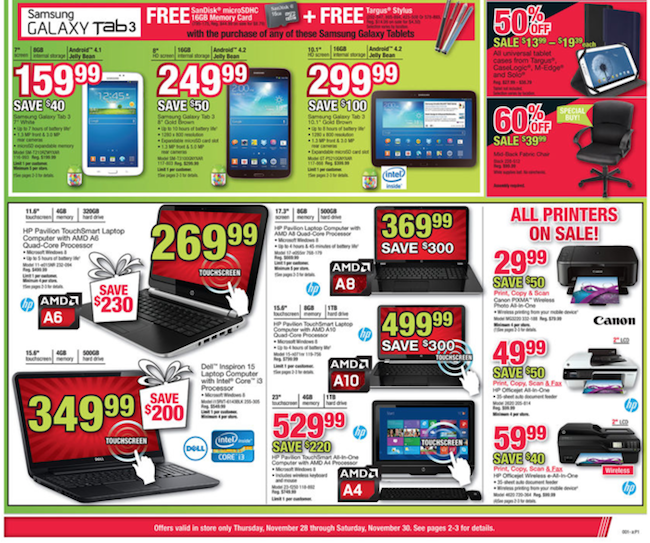 This ad is valid for November 27 – 30, 2013. 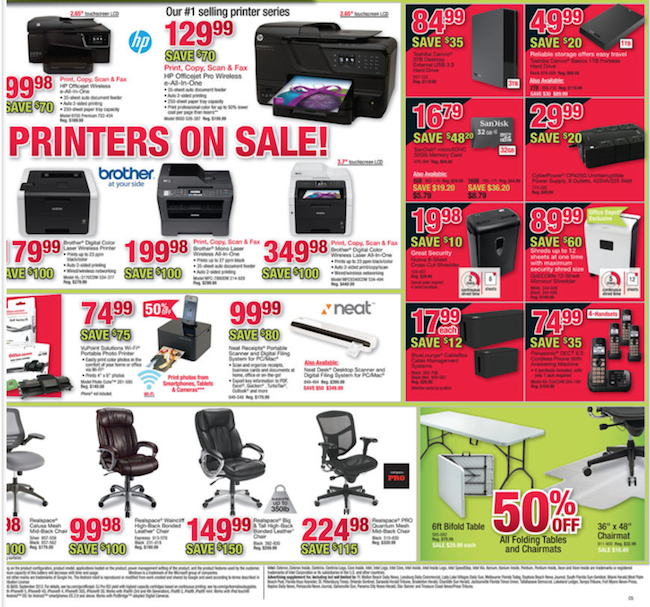 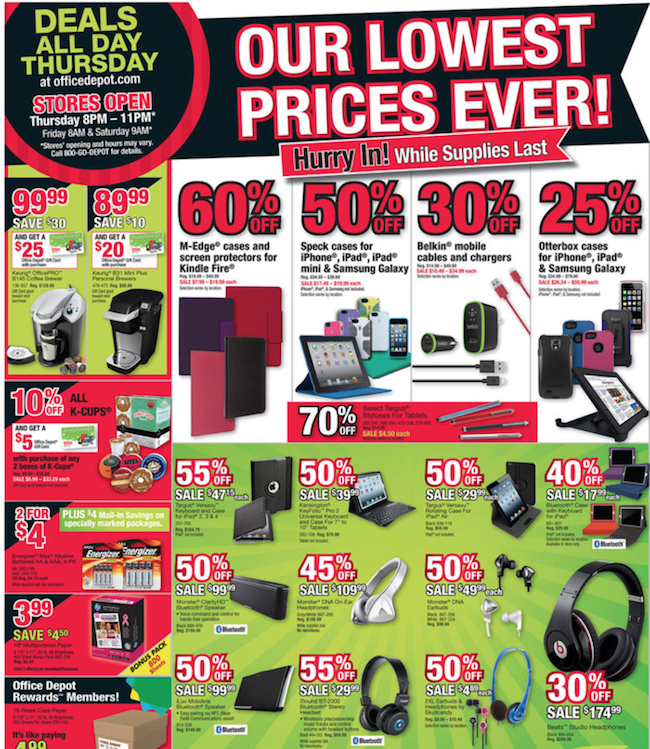 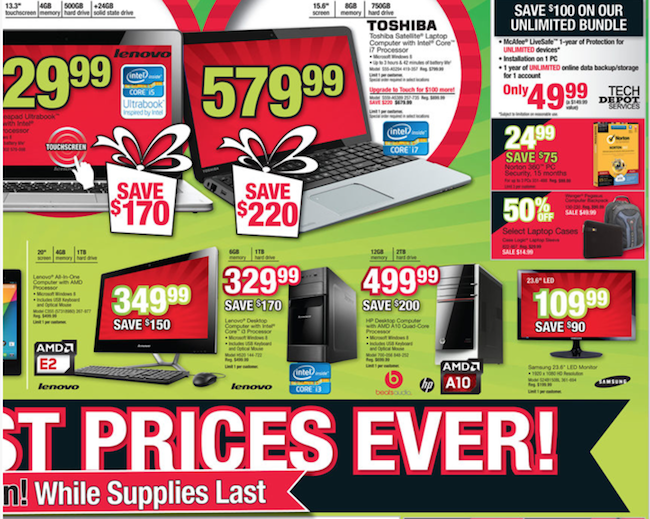 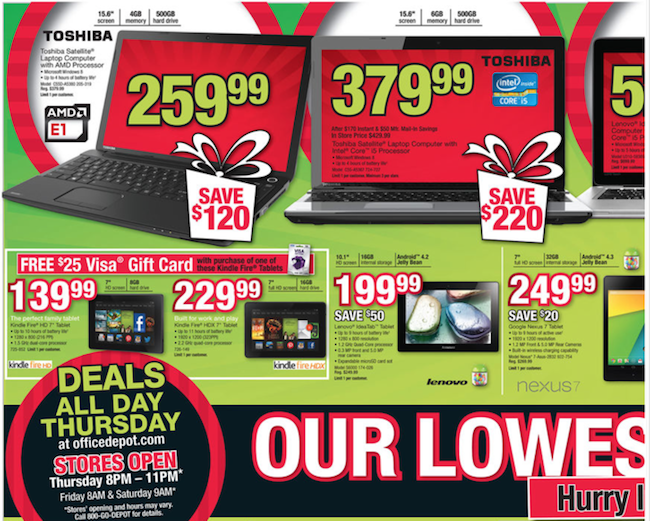 In this Office Depot Black Friday ad they are offering door busters on printers, tablets, and laptops. 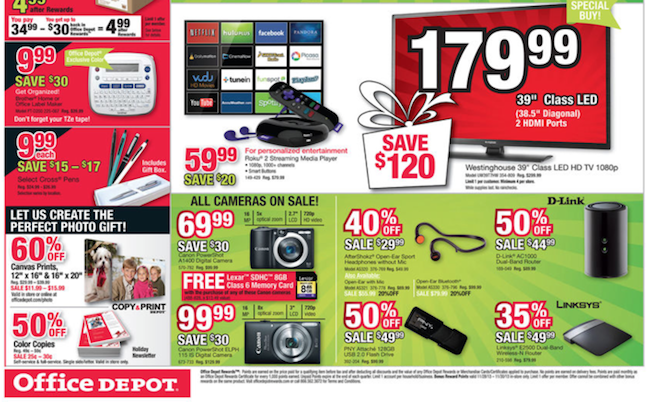 Office Depot will open from 8pm – 11pm on Thanksgiving, 8am on Black Friday, and 9am on Saturday.